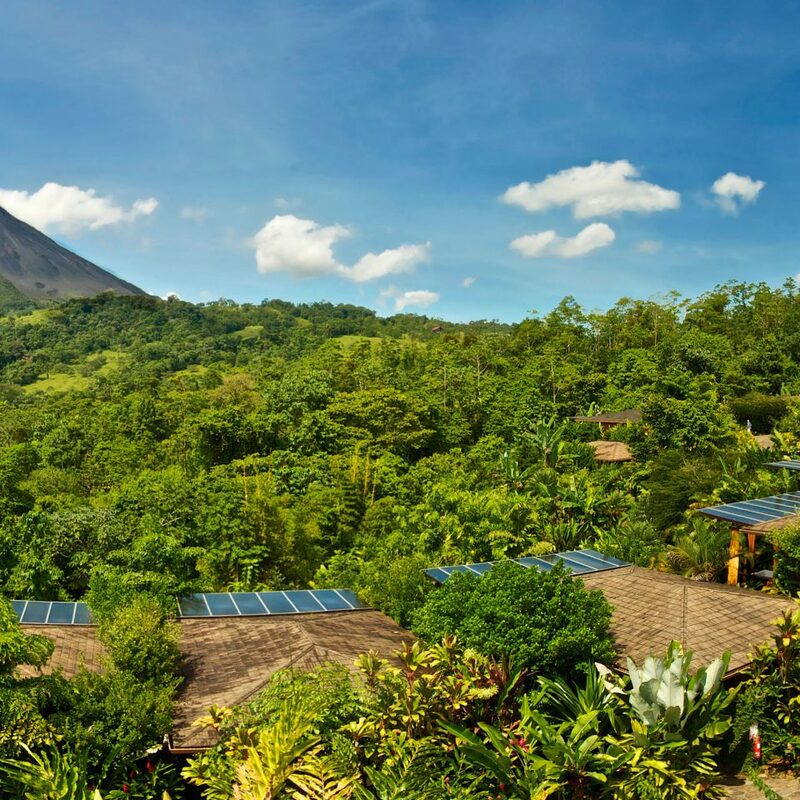 About 56 miles northwest of the capital, San José, the 5,358-foot Arenal Volcano juts up from a dense tropical landscape that acts as a kind of natural playground for visitors, with natural hot springs, zip-lines through untrammeled jungles, and plenty of hiking. 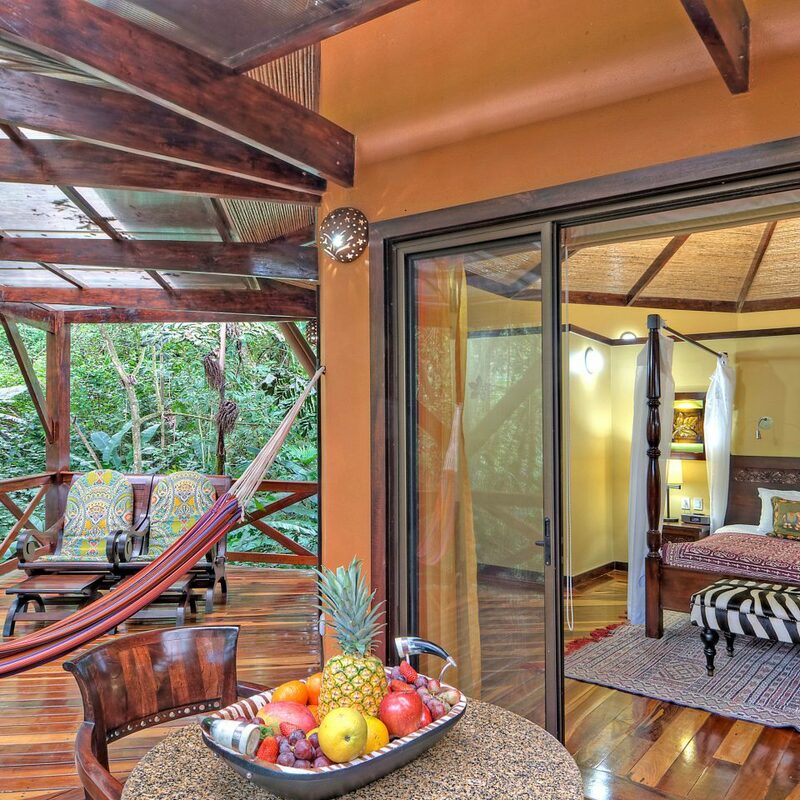 At the center of it all is the Nayara Hotel, Spa & Gardens, heralded as one of the best retreats of its kind in Costa Rica, and certainly the most romantic. 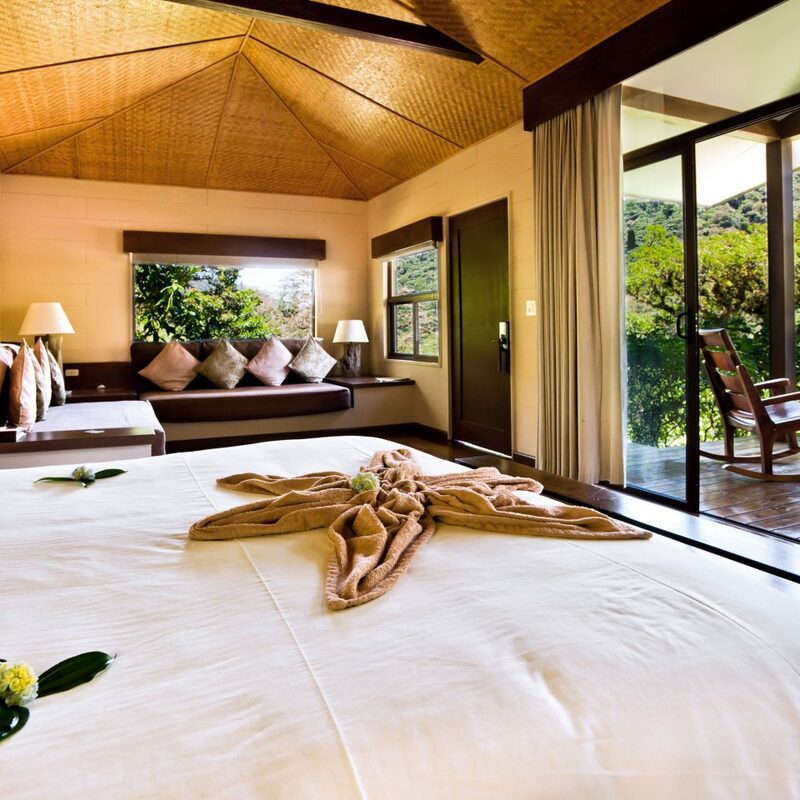 The 50 free-standing bungalows are set on a hillside with sweeping views (when the frequent rains have abated, that is). 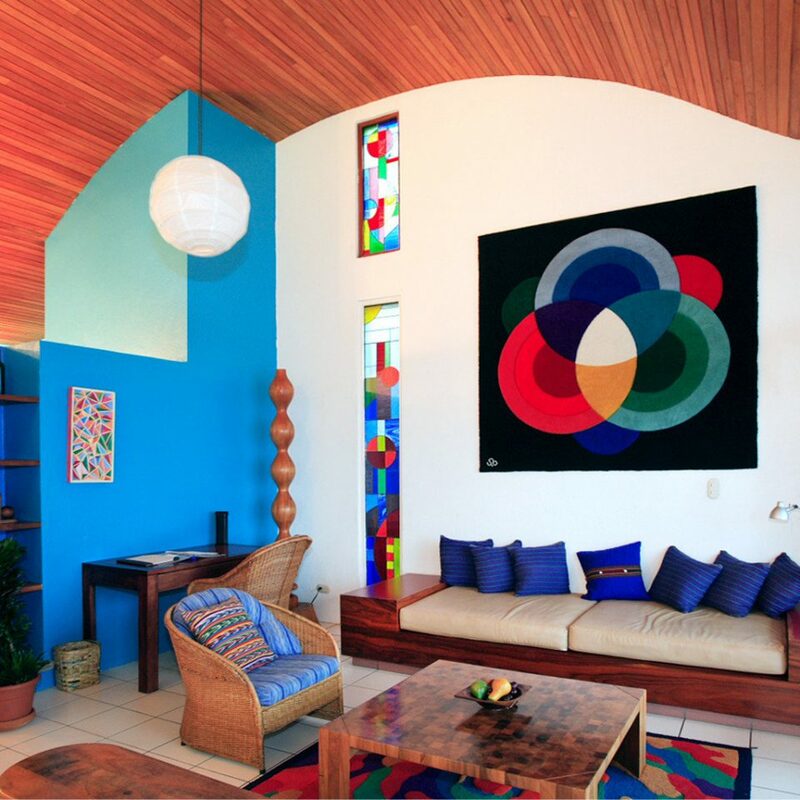 The large air-conditioned units (the smallest is 855 square feet) carry on the tropical-luxe feel with lots of dark wood and pops of rich color on the walls and in the fabrics. Flowers and birds festoon the outdoor decks, where you can swing in a hammock or soak up the views in your private outdoor bathtub built for two. 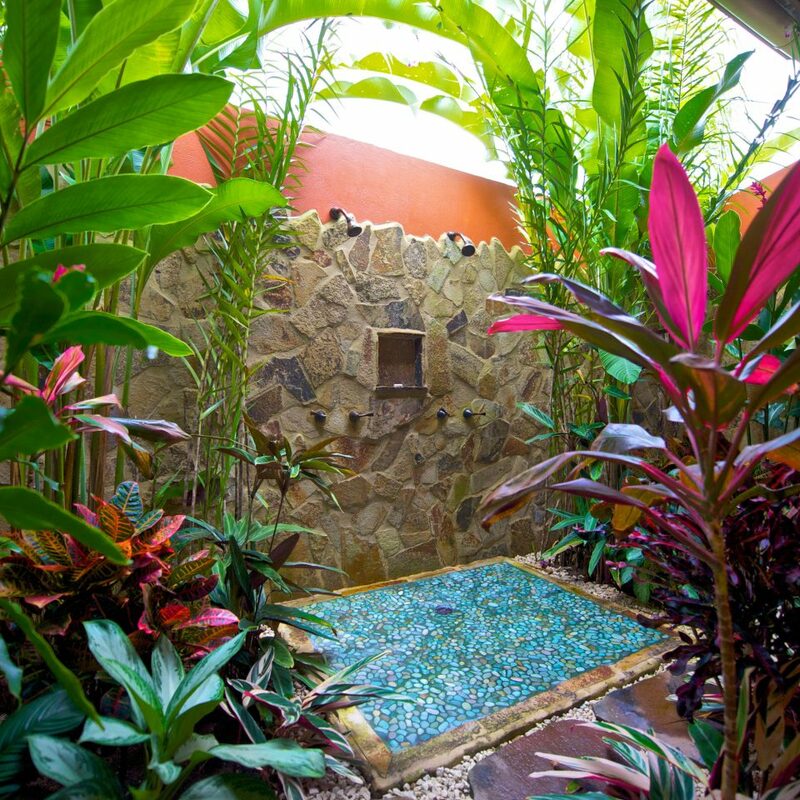 Some units also have outdoor showers surrounded by stone walls. 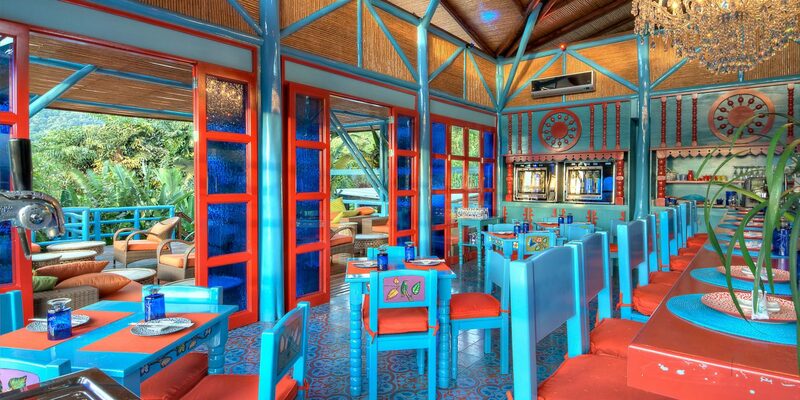 The restaurant, Altamira, set under a huge thatched palapa roof with surrounding stone patios, sticks mostly to Costa Rican basics. 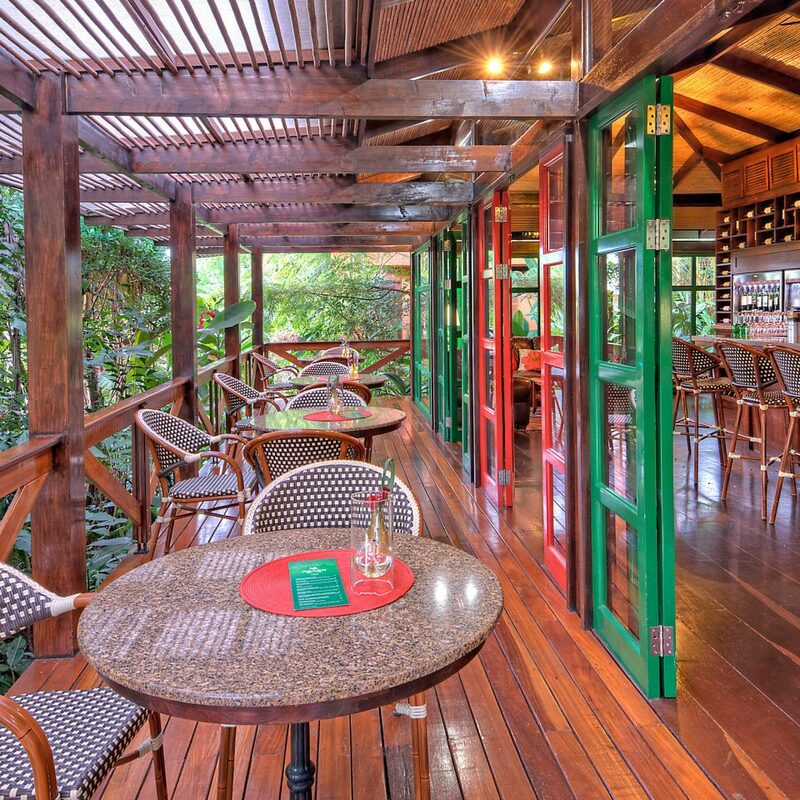 The breakfast buffet is ample, and for dinner there’s the churrasco steak washed down with local beers. 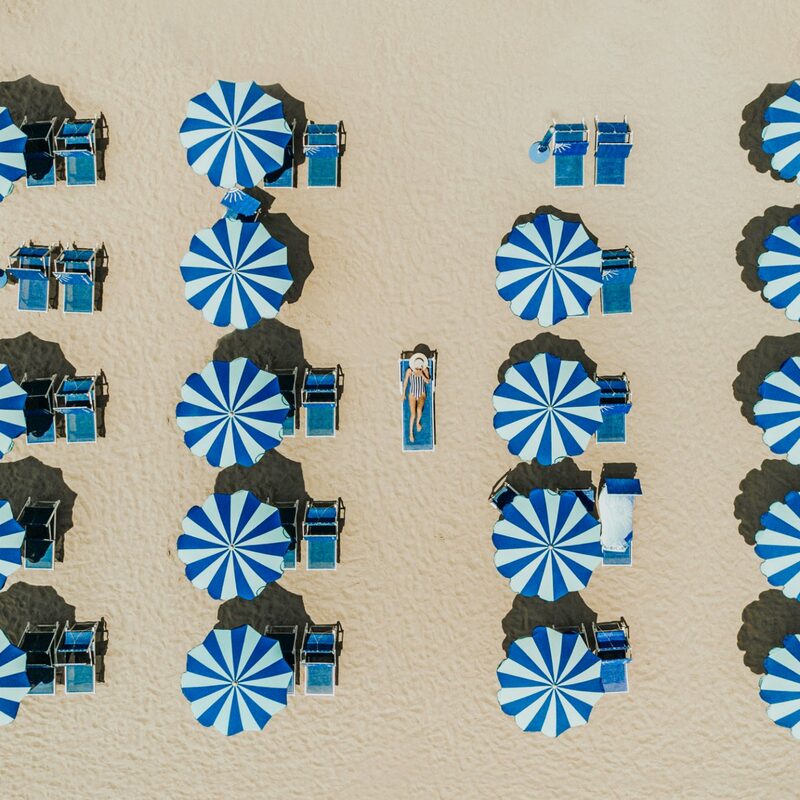 The hotel pool has a swim-up bar underneath a palapa roof—a handy retreat when rain showers come to visit. 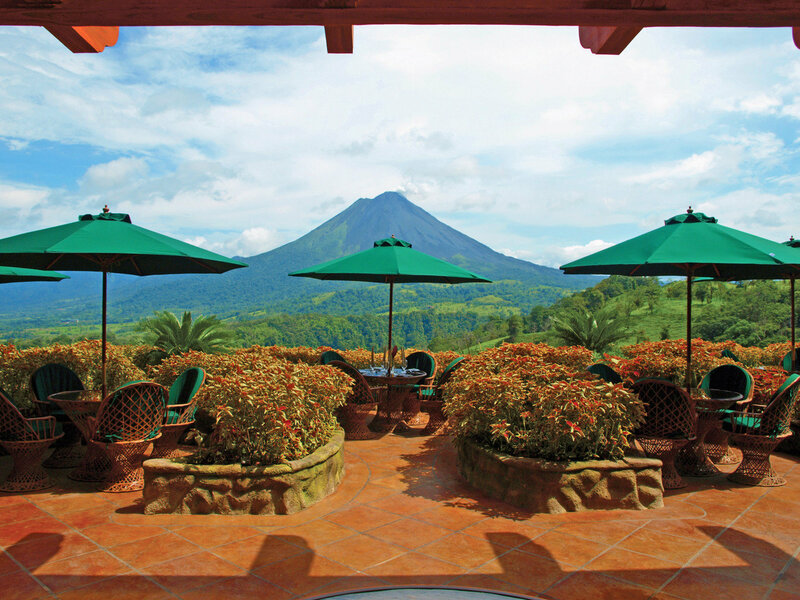 There’s also an open-air spa, where mud treatments incorporate ash from the Arenal Volcano. 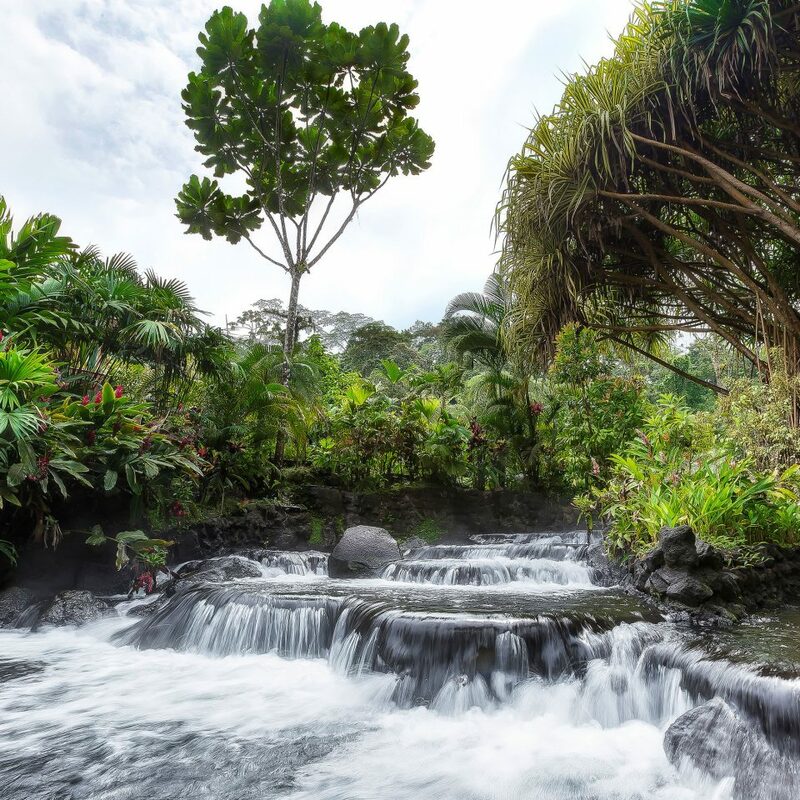 The hotel runs its own guided volcano tour, which includes an easy hike on the Toucans Trail, traversing the rain forest and crossing over a 1992 lava flow. If you’re lucky you’ll see red lava flowing in the distance. 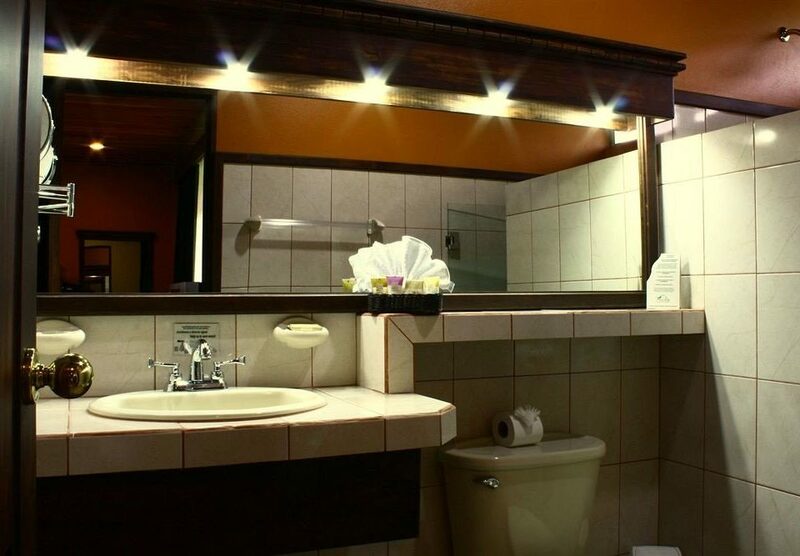 The tour includes an optional stop at a mineral hot spring. This nearby family-run natural hot springs (in manmade pools) does not allow more than 100 visitors at a time, keeping the place mellow. 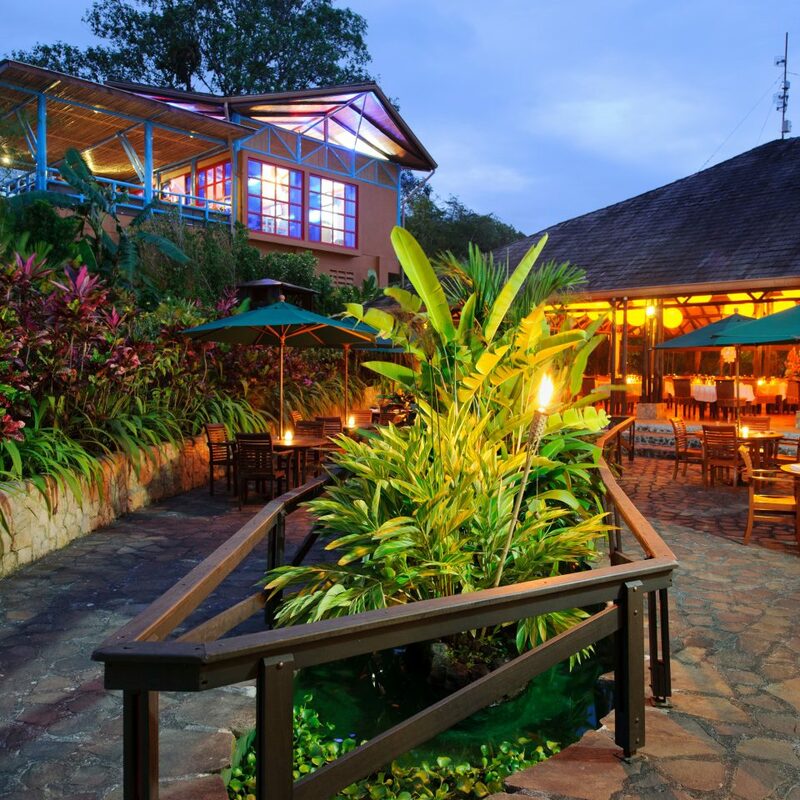 It’s especially spellbinding at night, with soft lighting and the rain forest chirping around you. Rio Sarapiqui is a rafting river near Arenal. The river has its own character, from relaxing to rapid whitewater, depending on the seasonal rainfall. Any way you do it, a rafting trip is one of the best ways to get immersed in the overwhelming rain forests of Costa Rica. Take a horseback ride to the La Fortuna waterfall. The ride takes an hour, and once there you can take a swim at the base of the falling waters. 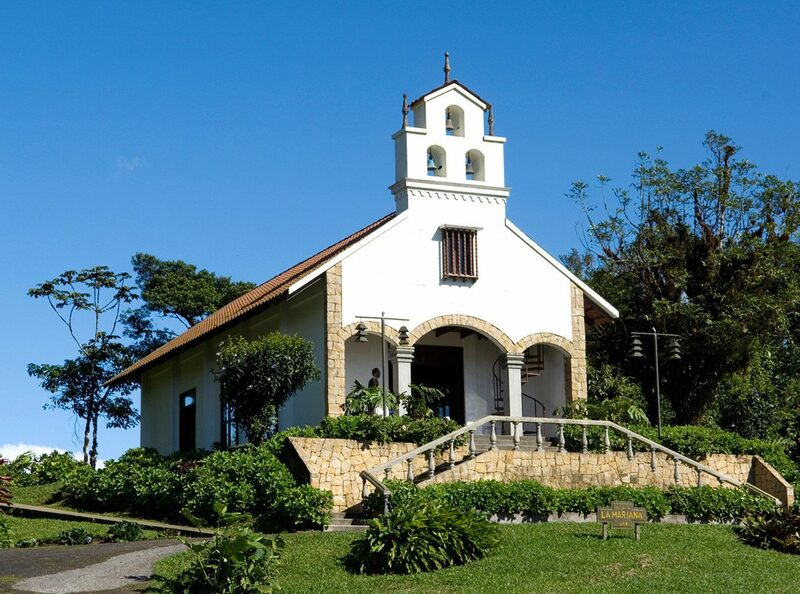 Take a full day to go on an 8-hour excursion through Tenorio Volcano National Park. The five-mile hike leads you to natural mud baths and hot springs, and the final destination, the crystal blue Rio Celeste waterfall. 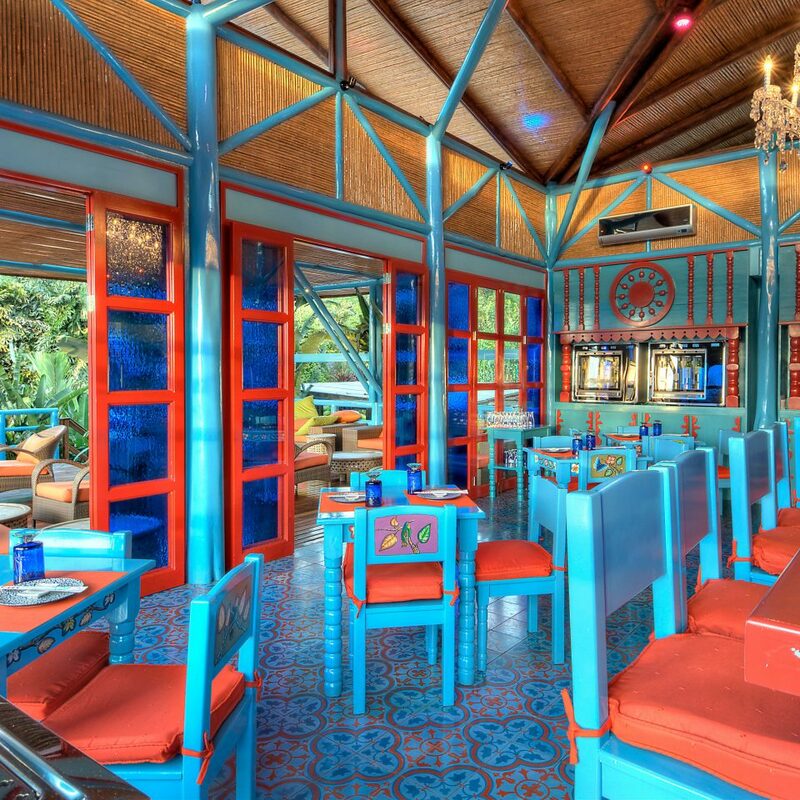 Flawless service & scrumptious food, surrounding by extraordinary beauty. Experience every restaurant. The food is amazing. 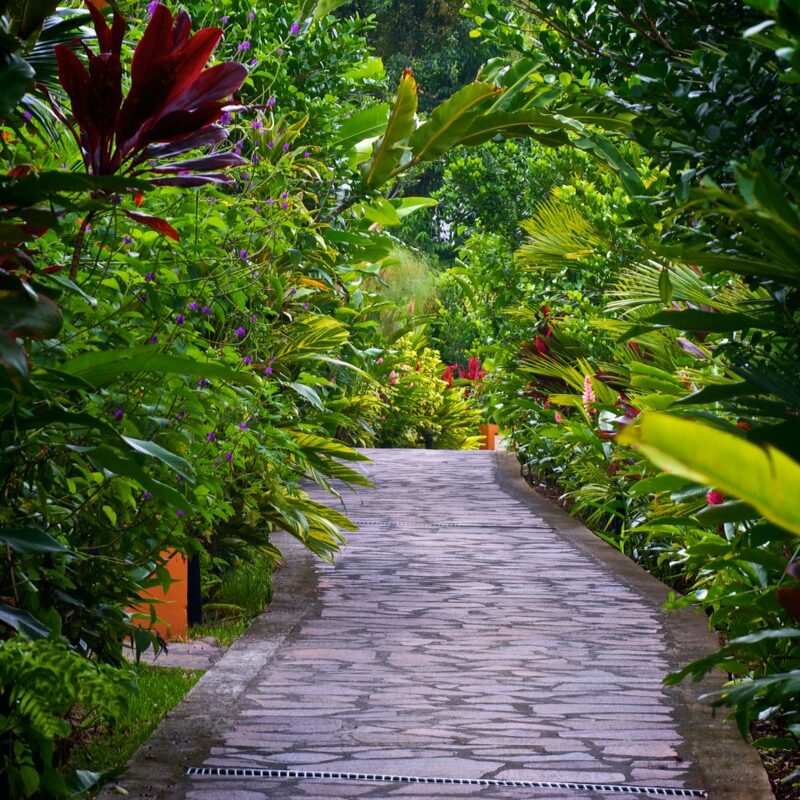 Walk throughout the grounds to take in and enjoy the amazing beauty that surrounds the resort. Pamper yourself through a Signature Nayara spa treatment. 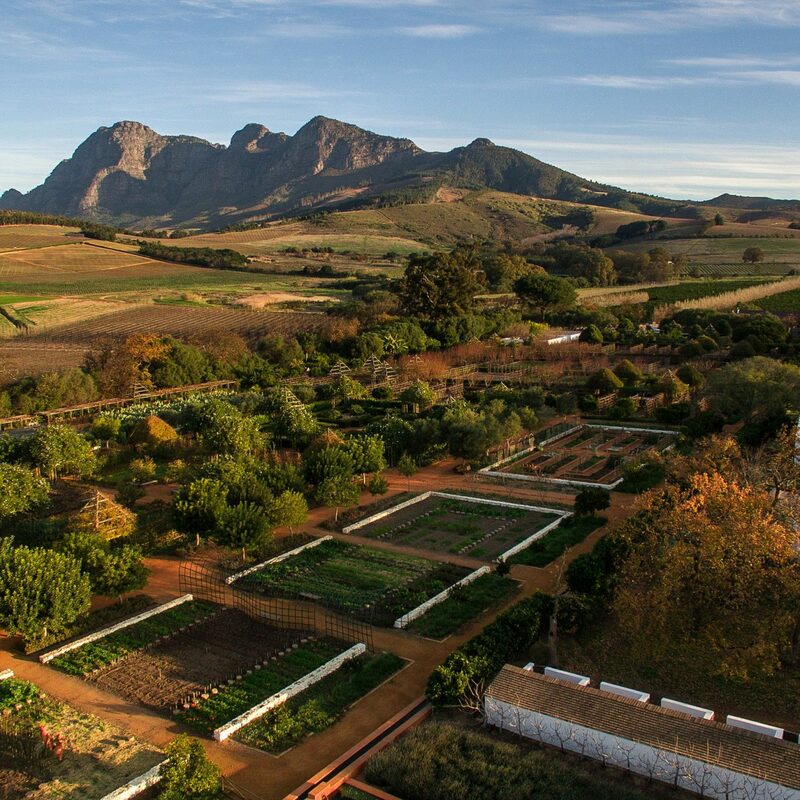 Engage with the lovely, kind, service-minded staff who are there to enhance your visit. 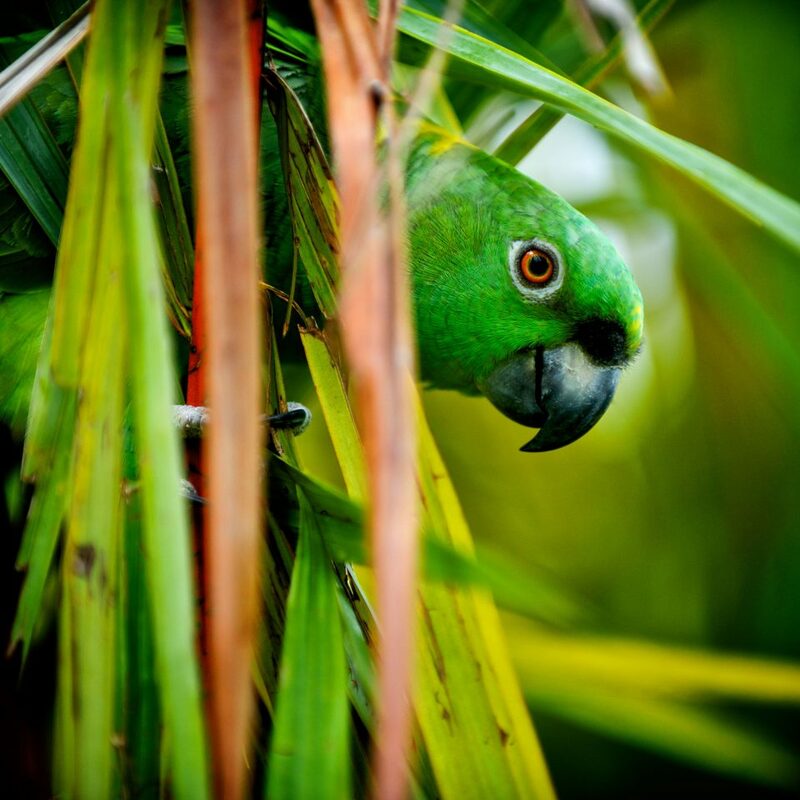 Cherish and support the Costa Rican's practice of caring for their natural environment through sustainable energies, water conservation, cleanliness and protection of their animals. 5 Star all the way. Top notch service, beautiful landscaping throughout. The restaurants were excellent. The room was incredibly unique and special. Loved the outdoor shower and view of the volcano. Quiet, peaceful, and one of a kind hotel. Plan to return one day. Kids loved it so did the wife and I. An excellent hotel. 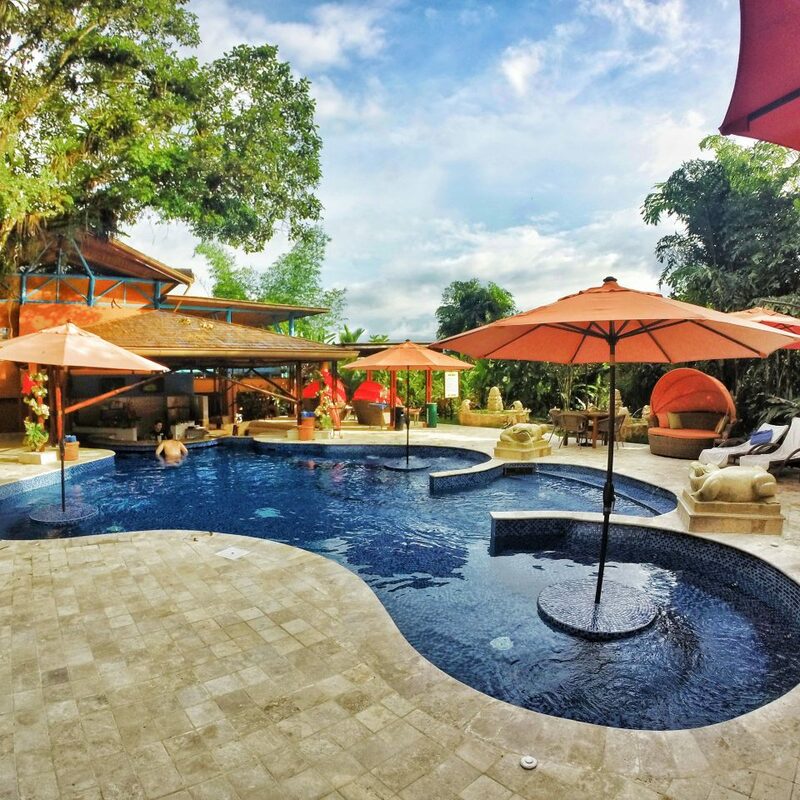 The ability to move between the two resorts located on the property is an excellent advantage, as it allows you to spend time in the Adults only areas of the resorts. 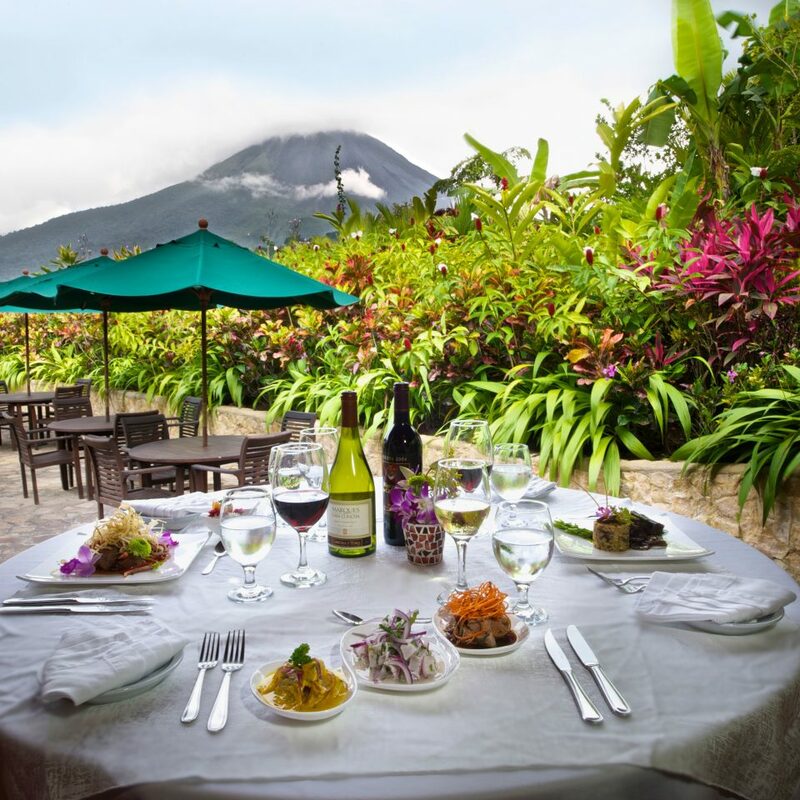 The property is amazing with the tropical gardens, the two onsite restaurants which I used were excellent and the service was outstanding. Not a great hotel for kids. Rooms are exquisite, food excellent but too many places and pools off limits to kids. The kids’ pool is minuscule for the number of kids that were there when we were (spring break).